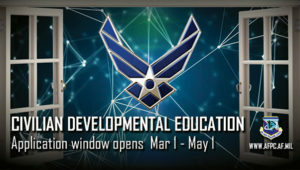 Eligible Air Force civilians may apply for developmental education for the 2020 academic year from March 1 through May 1 via myVECTOR. This year, the Air Command and Staff College-online master’s program and the Air Force Legislative Fellows program are now open to General Schedule 12 to 14 employees. Fellowships at the RAND Research Institute are open to GS-14s and 15s, while Leading with Impact is a new course offered to GS-12s and 13s. Applicants must have, at minimum, two years in federal civilian service by May 1 in order to apply and requirements and eligibility may vary for specific programs. In order to be considered, applicants must also be nominated by their local leadership and endorsed by their chain of command. Applicants should carefully review program requirements before preparing and submitting application packages. This year, applications for CDE, CSLP and ESEP will be submitted through MyVector. Registration is required for applicants, supervisors and endorsing officials. Applicants must submit their nomination packages by April 17, with chain of command concurrence by May 1. 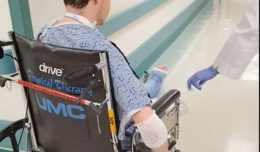 The system uses prompts to guide applicants through the process. The selection board will convene in September with final approval of primary and alternate candidates released later this year. 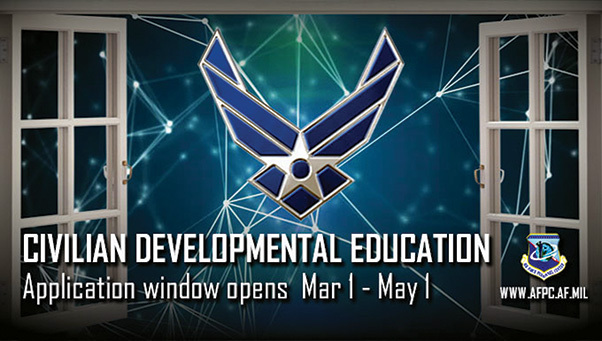 For up-to-date civilian DE information, visit the Civilian Force Development page on myPers, or select “Civilian Employee” from the myPers dropdown menu and search “developmental education.” Required documents, application instructions, a list of DE opportunities and other criteria are available on the page.